An operation carried out in the Banchory area to tackle antisocial behaviour has resulted in the seizure of drugs, alcohol and vehicles. The operation, run by local police, involved community officers, special constables and plain-clothes officers during the evenings of Friday, July 6, and Saturday, July 7. Bicycle patrol officers and plain-clothes officers conducted checks around schools, the banks of the River Dee and areas where there have been antisocial behaviour issues reported. On Friday, a 36 year-old woman was charged with the alleged possession of cannabis and will be reported to the procurator fiscal. On Saturday, a 38 year-old man was issued with a Recorded Police Warning for possession of cannabis. Multiple alcohol seizures were made from youths in the area, with a large quantity of alcohol seized and disposed of. Additionally, three people were charged at the weekend for allegedly driving with no insurance, with two vehicles seized as a result. 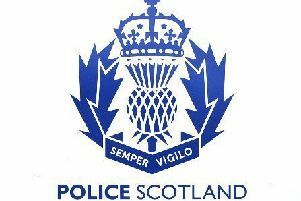 A 17 year-old man was also charged for allegedly driving while using a mobile phone, and will be reported to the procurator fiscal. PC Georgia Baird, of the Community Policing Team, said: “I am pleased that the majority of people in Banchory enjoyed the first weekend of the summer holidays without trouble or incident, however it is disappointing that people were found with alcohol and drugs over the weekend. “Large quantities of alcohol was seized from teenagers, which could have led to disastrous consequences had it been consumed. What is particularly worrying is that in some cases, it appears that parents had supplied this alcohol. Parents should be reminded that this is not only irresponsible, but unlawful.